After Fox has now formally notified the European Commission about its bid for the broadcaster Sky, the Secretary of State for Culture, Media and Sport, Karen Bradley, has 10 working days to decide whether to refer the bid to Ofcom for review. In this post, Martin Moore, Director of the Centre for the Study of Media, Communication and Power at King’s College London, makes a case for why the bid should be referred to Ofcom. Almost seven years on from the Murdoch’s first attempt to take over the remainder of Sky, Rupert, James and Lachlan are trying again. This time they are confident of pulling it off. The media environment has, they argue, changed radically since 2010-11; the Murdoch empire has been split in two, phone hacking has dimmed in the public consciousness – and the political mood music is very different. If the bid is successful then 21st Century Fox, which is controlled by the Murdochs, will go from owning less than half of Sky to 100% ownership. 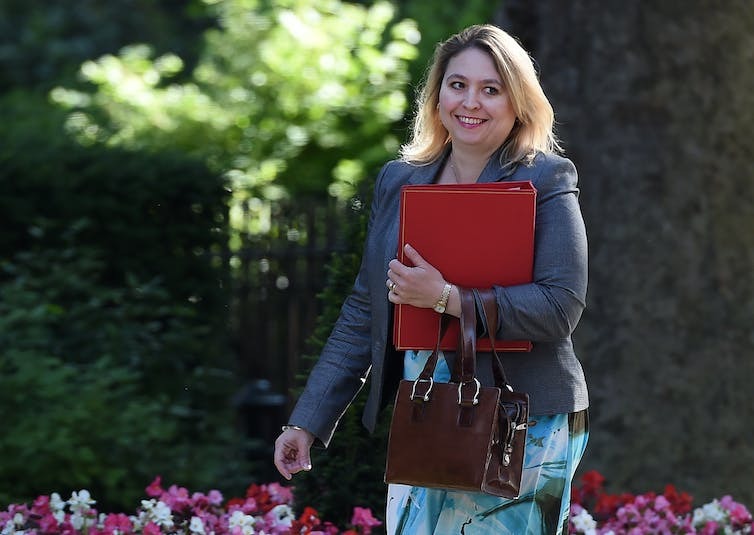 So confident are they reported to be that they may hope the Secretary of State for Culture, Media and Sport, Karen Bradley, will not even refer the bid to Ofcom for scrutiny. This would be a mistake. Bradley should refer the bid to the media watchdog – not for political reasons, but because the bid raises serious plurality concerns that will not be properly exposed unless Ofcom is tasked with reviewing the bid. Steven Barnett, Damian Tambini and I outlined some of these plurality concerns in a policy paper, published after Fox submitted its bid to the commission. One of our arguments is that the consolidation of control of news production should itself be enough to lead to a referral. Sky and NewsCorp together are the most dominant commercial news producers in the UK. In radio, almost every UK commercial station receives its news from Sky News Radio (often supplemented by some locally sourced news). This equates to more than 280 commercial stations across the UK. Sky’s only real competitor in radio news production is the BBC. In television, there are now only two UK-based 24-hour television news channels – Sky News and the BBC News Channel. A successful Fox takeover would essentially mean a duo-polistic market in the production of 24-hour television news (where Sky would be the only commercial provider) and a three-way split in mainstream TV news production (Sky, the BBC and ITN). News UK is owned by News Corporation, not 21st Century Fox. Yet the Murdochs continue to control both. Rupert is executive chairman of News Corporation and executive chairman of Fox. Lachlan is co-chairman of News Corporation and executive chairman of Fox. James is CEO of Fox. The Murdochs are therefore able to influence news production at both Fox and News Corporation. According to an impact report prepared for News UK by Chris Doyle of Warwick University, in 2013 the company employed “around 2,600 [people] in operations spanning journalism, printing, distribution and back-office support across the UK”. Based on this figure News UK remains one of the largest news producers in the UK outside the BBC. By comparison, Buzzfeed UK had 80 UK staff in November 2016, including senior management. Should Fox gain complete control of Sky, the Murdochs would therefore control directly the dominant commercial news producers in the UK across television, radio and print. This would reduce plurality in news production and mean less diverse news. Policy makers would be yet more reliant on Murdoch-controlled news outlets and the Murdochs would, as a consequence, have still greater political influence. The environment in news production has changed since 2011 but, unlike the rise in availability of information online, professional news production has shrunk. Almost all major UK news publishers have cut journalists and editorial staff since 2011. As far as local and regional news goes, the Press Gazette estimates that the number of journalists has more than halved since 2008. On national papers the job cuts have also been severe – editorial numbers were severely reduced at The Independent after its print edition was closed down and its sister paper the Independent on Sunday ceased production in March 2016. The Guardian has plans to cut hundreds of jobs, and The Telegraph has announced a further wave of redundancies. As a result, the production of news content, already seriously diminished and under further threat, would become yet more dependent on Fox and News UK after a takeover. This in a UK commercial news environment dominated by a small number of corporations and individual owners. The shift to news consumption via the tech platforms – notably Facebook, Google and Twitter – does not reduce the importance of news production, it increases it. Facebook, Google and Twitter distribute news, they do not produce it. Claiming that the Fox bid should go ahead because power has shifted to the tech platforms distracts from the fact that these platforms are not news producers. In such an environment it is even more important that Ofcom reviews the impact the Sky bid will have on news plurality. Bradley should refer the bid as soon as possible. This article was originally published on The Conversation. Read the original article. This post gives the views of the authors and does not represent the position of the LSE Media Policy Project blog, nor of the London School of Economics and Political Science.